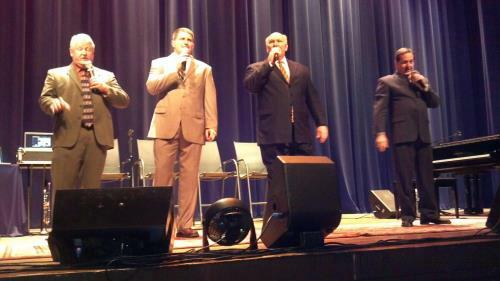 The Testimony Quartet from Chattanooga will highlight the April Red Back Hymnal Singing at the Hullander Farm in Apison on April 21. The singing is held the third on Sunday night of every month and starts at 6 p.m.
Hullander said, "This month's event is special and will highlight selections about the death, burial and resurrection of our Lord Jesus Christ. Selections will include He Lives, The Old Rugged Cross, Because He Lives, and others." There is no admission charge but a love offering will be taken. Everyone is invited.